Robert Graham Fall 2012 Presentation: Colors Fit For Royalty! ﻿Anyone who knows me or follows me on social media knows that I live for color! 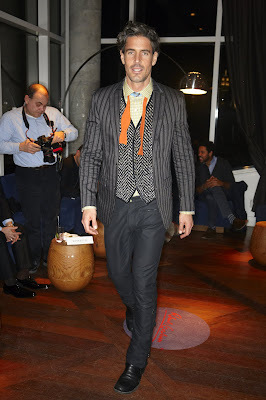 I always try to stay away from boring clothes and often that is a hard thing to do with menswear. 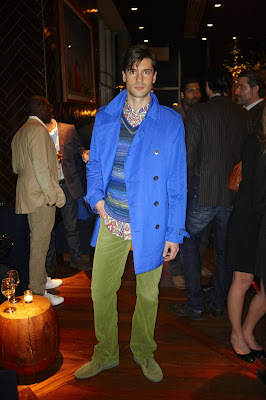 I am so glad that I was invited to Robert Graham's Fall 2012 preview at the Jimmy at the James Hotel where I quickly discovered that the brand also hates boring menswear and loves lots of color too! 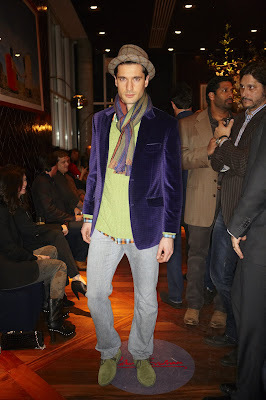 Robert Graham's Fall 2012 is inspired by the magnificence and beauty of royal palaces around the world. Inspired by stained glass windows, the palette is rich with indigos, deep greens and chocolate browns that are paired with royal bursts of blues, violets and other jewel-tone hues. Materials used throughout the collection give nod to their royal inspiration. 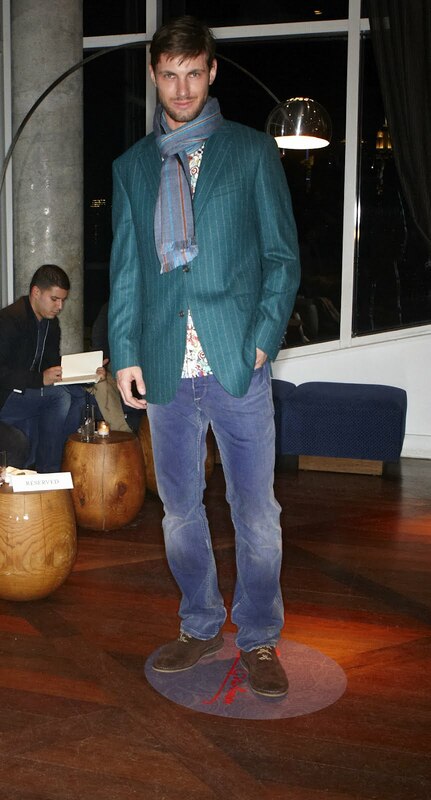 Velvet, cashmere, twill and herringbone fabrics are paired with traditional Robert Graham trims and paisley prints. I am obsessed with this double breasted cobalt blue trench coat! I need slash want it for fashion week asap! For those who are new to color, bold combinations like the one above can be a scary thing but don't be scared! All of these pieces can work great separately. Pair them with neutral colors and they will give you a burst of brightness! Who says that you have to be dark and grey for fall/winter? 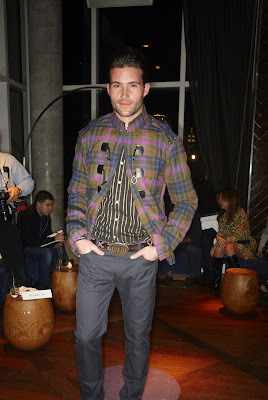 Check out some of my favorite looks from Robert Graham's Fall 2012 presentation below. I Loved the fact that the above look is simple yet the bold colors make it unique and eye catching! You can wear this jacket with so many things and I am living for the pea green suede shoes! These gorgeous blazers had me at hello! These are the kind of pieces that will make everyone turn and notice you when you walk in the room. You can make them casual, as seen here, or you can dress them up with the right pant and a fun Robert Graham bow tie! Speaking of dressing things up, these two looks are dapper and daring. The suite above is right on trend with the double breasted jacket and the bold pinstripe. Bold prints and texture seems to be a huge Fall '12 trend for men and women as seen in the jacket and vest combo below. I am of course getting life from that orange bow tie that I need for the tents this season! My favorite look has to be the one above because I love unique pieces with lots of detail and color. This has all three and then some. The front has toggle buttons which gives it an interesting military or band look and the back has a hoodie which is on trend 90's fierceness. 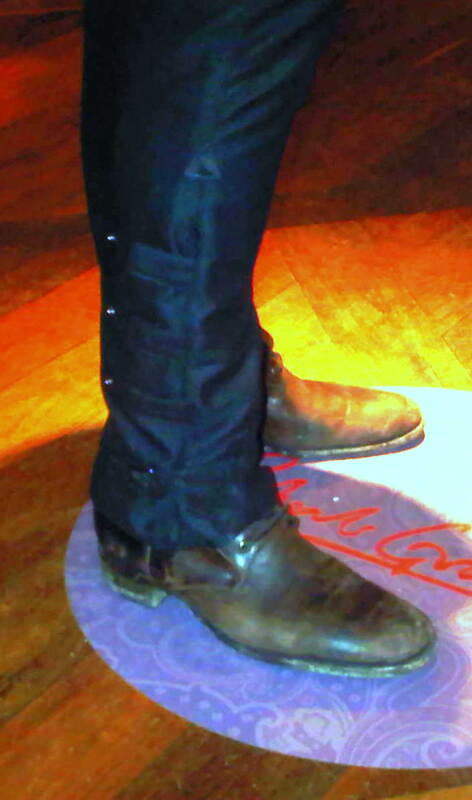 The picture below shows a pant that everyone seemed to be obsessed with! I love seeing detail like this on menswear. These pants are perfect for the fashion forward badass in your life! 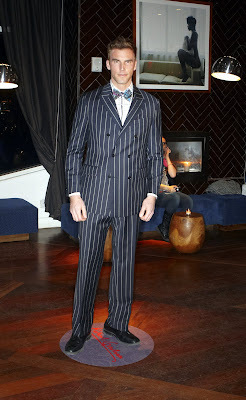 I had such an amazing time at the Robert Graham Fall '12 presentation. RG is a brand that relates to my asthetic and I was thrilled when I got to take home a RG bowtie! 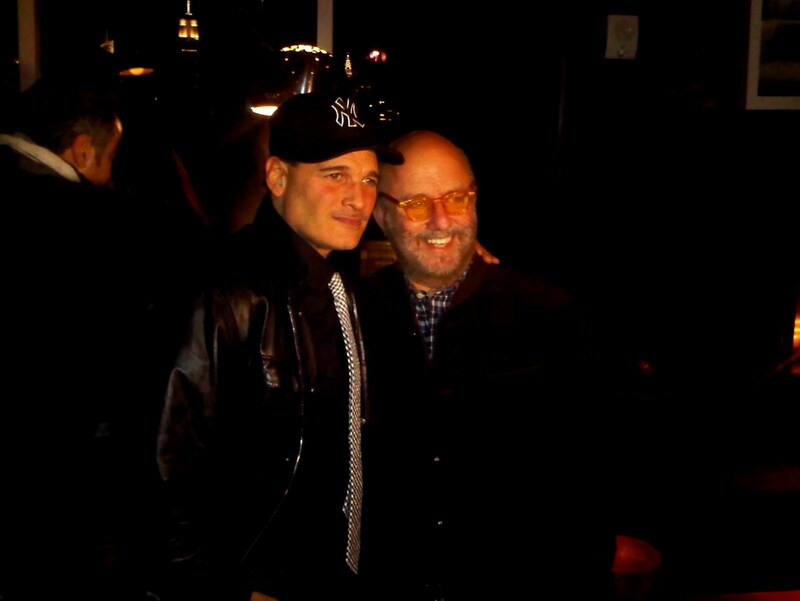 I wore it to my next big event which was the Jeffery Fashion Cares cocktail party at Jeffery New York in the Meatpacking District. Check out how good my RG bowtie looks in my photo with friend of OJ&B Sonja Morgan (who looks stunning by the way)! Television personality Phillip Bloch with Robert Graham designer and founder Robert Stock at the Robert Graham Fall '12 presentation at the Jimmy at the James Hotel. Thanks again to the Robert Graham team for inviting to this colorful fall presentation! Look out for me wearing Robert Graham this season at Mercedes-Benz Fashion Week for Fall 2012!